Take charge of the space in which you perform. By viewing space as an abstract yet moldable material, the artist can learn to move and edit the space around the performing body. 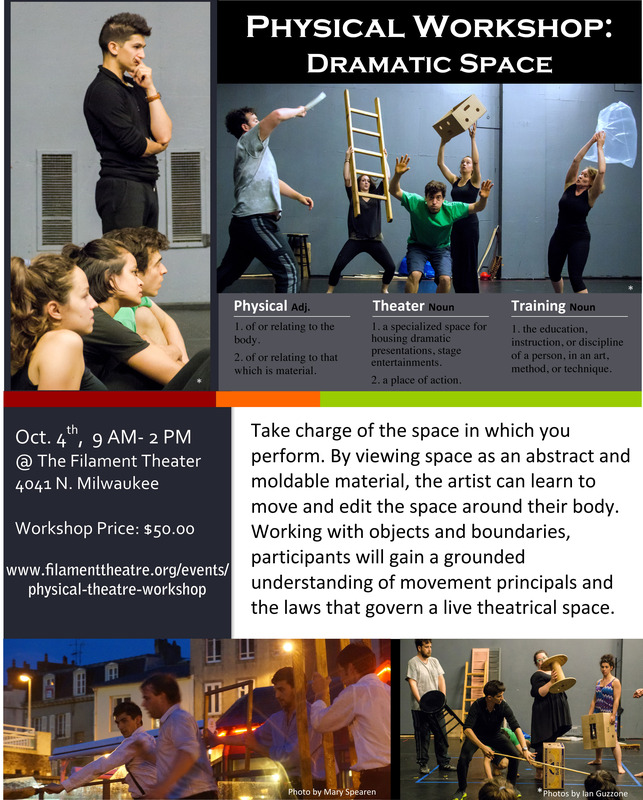 Working with objects and boundaries, participants will collaborate to create short, dynamic performances, gaining a grounded understanding of movement principals and the laws that govern a live theatrical space. Please come prepared to move. 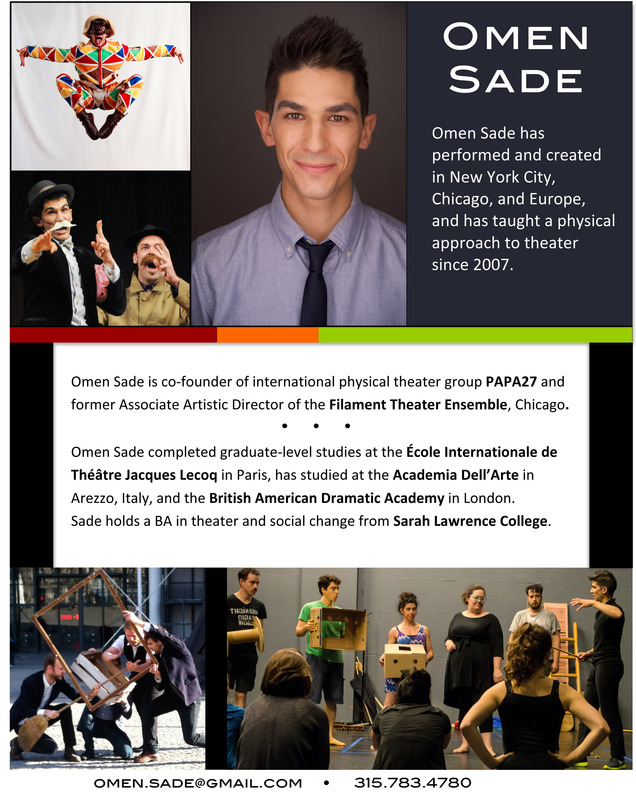 Please address any questions to Omen.Sade@gmail.com.